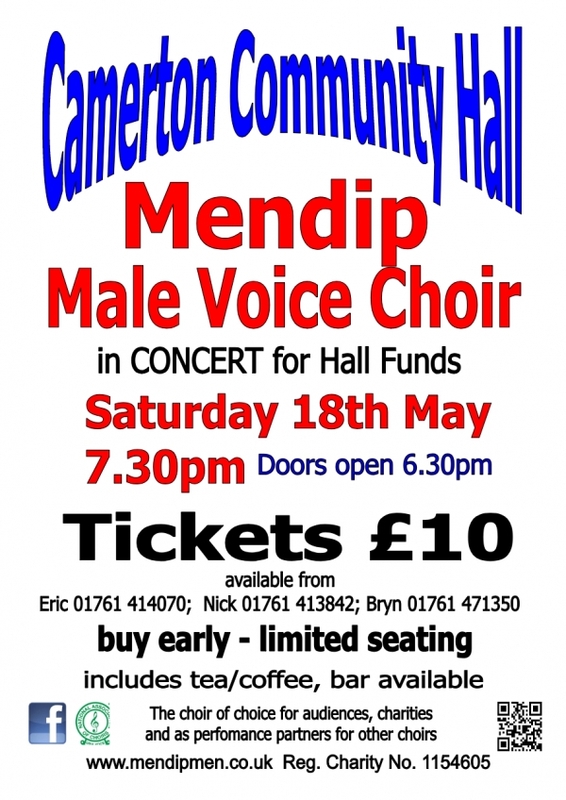 The Choir of Choice, Mendip Male Voice Choir has been entertaining people since 1919 and this year marks its Centenary. 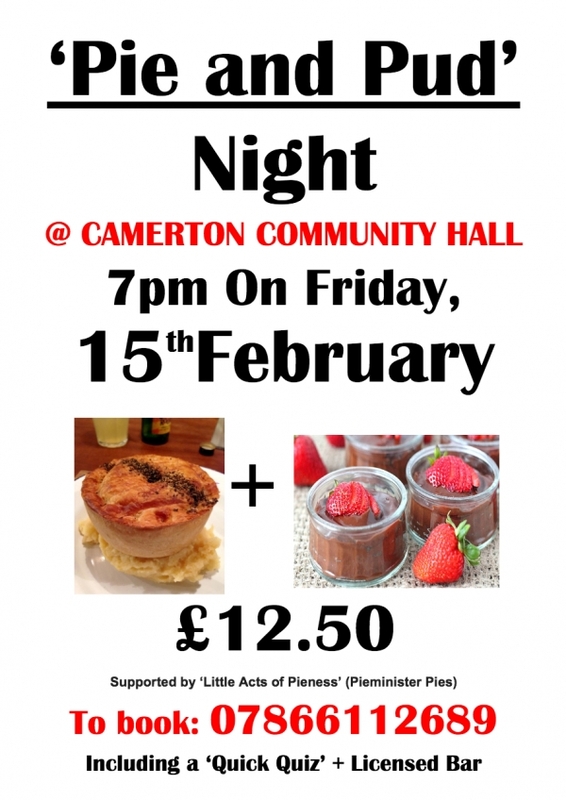 After a sell-out, outstanding and enjoyable performance last year, Camerton Community Hall (Registered Charity are delight to welcome them back, in concert, to raise funds for the hall. Tickets £10 in advance from Ticketsource; cchallsecretary.com; 07866112689, 01761 414070; 01761 413842 or 01761 471350 Include tea/coffee. Doors open 6.30pm with licensed bar available. 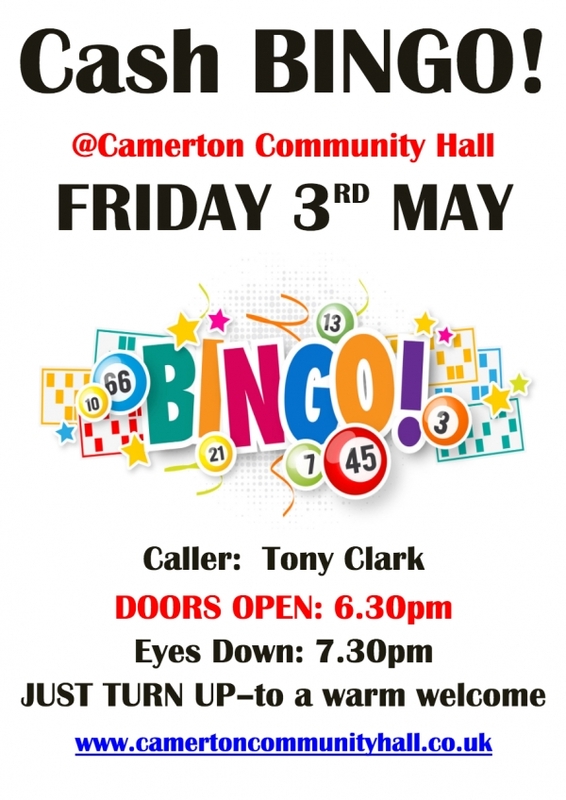 Bingo returns to Camerton Community Hall on Friday 3rd May. Join us for an evening of dabbers, daubers and pens! Doors open at 6.30pm, Eyes down 7.30pm. Just come along, everyone welcome. Refreshments will be available. to choose from followed by a light desert. Bar from 6.30pm. 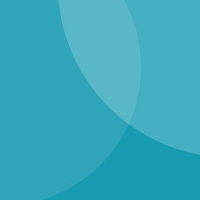 £15 per head booked in advance from cchallsecretary.com or 07866112689. Neil Clarke will give a PowerPoint presentation and talk on the traditional method of how a shoe was designed and patterns cut. Then how things needed to change as production moved off shore and the new technology and use of the internet that he introduced into the business, much of which has now become a global process. 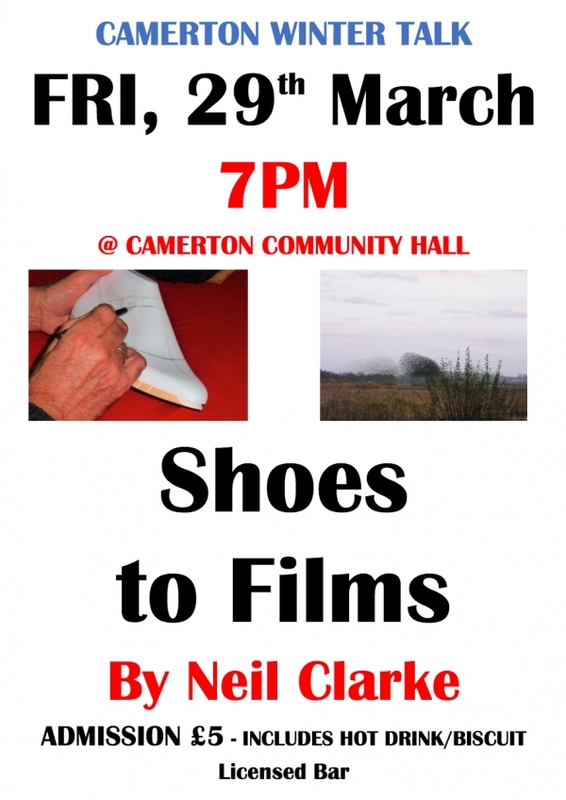 Neil will talk of his 39 year career in the shoe business which then leads on to a new life as a photographer and film maker. Starlings On The Levels was his first commercial film with sales in excess of 9000 copies worldwide. Join us for a Pie and a Pud Night with a fun, quick Quiz on Friday 22nd February at 7pm. £12.50. It's that time of the year when we need good food and good company to get us through the winter. 'Little Acts of Pieness' (Pieminister Pies). 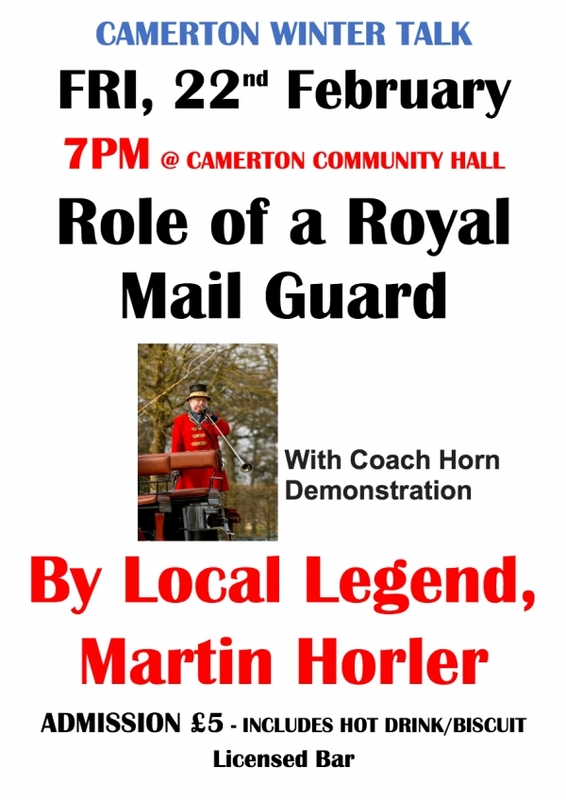 Local Legend, Martin Horler, will join us for an evening talk at 7pm on Friday 22nd February when he will describe the role of a Royal Mail Guard. 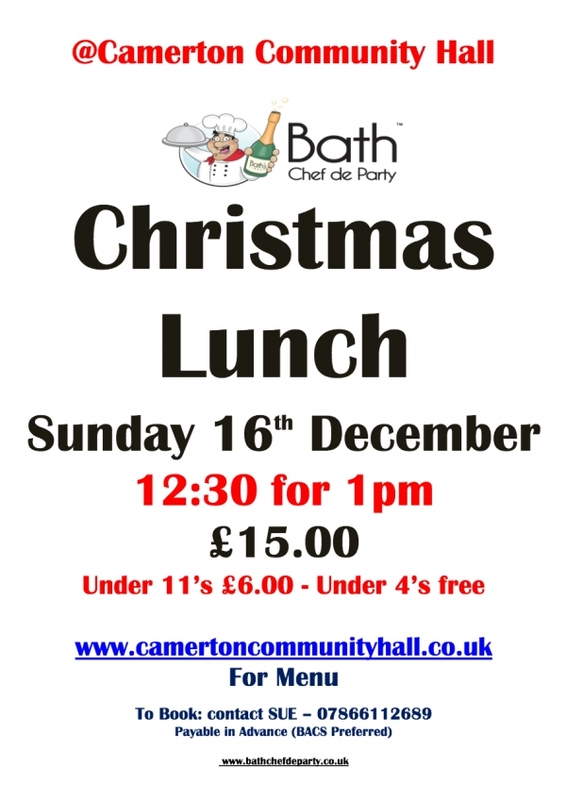 to Camerton Community Hall, Weeksley Lane, near Timsbury BA2 0NL. 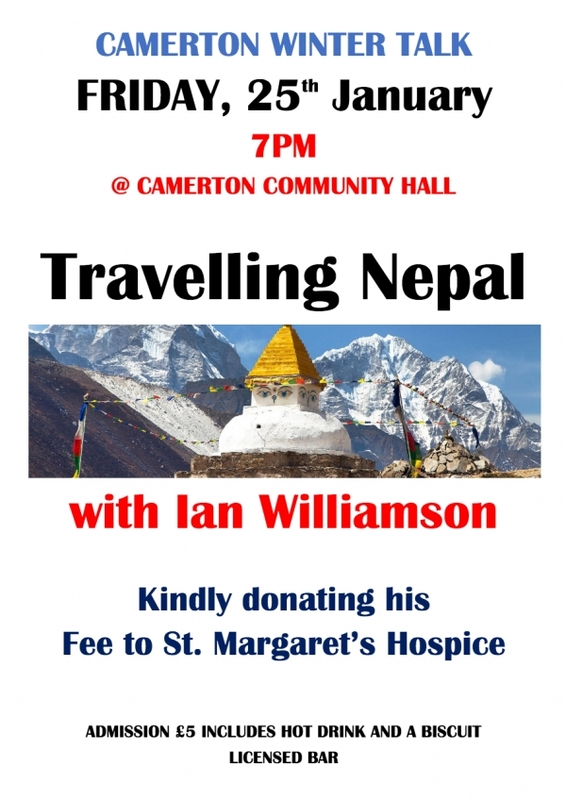 Join the intrepid traveller, Ian Williamson, talking of his experiences in the beautiful but tough country of Nepal. Ian is an avid National Trust supporter, a walker as well as a fundraiser for St. Margaret's Hospice to whom he is donating his fee . 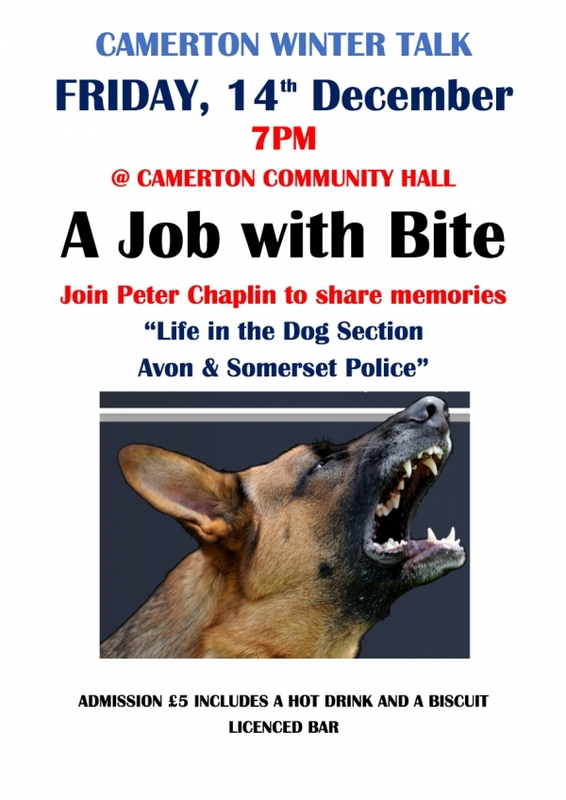 The talk is being held at Camerton Community Hall on Friday 25th January, doors open 6.30pm for 7pm start, Admission £5 which includes a hot drink/biscuit. Licensed Bar available. 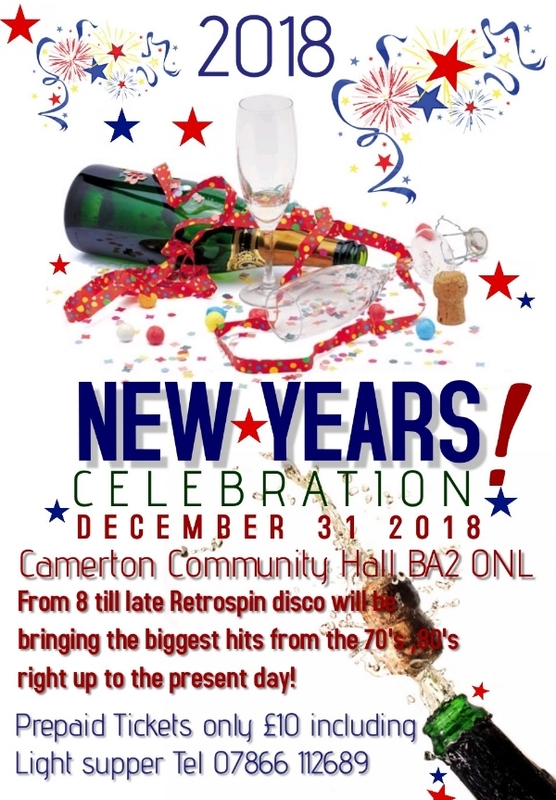 Party on down to Camerton Community Hall on Monday 31st December, 8 till late. Licensed Bar. Bath Chef de Party visits Camerton once again following a superb Sunday lunch date in June. Under 4s free. Includes a glass of cheer, Turkey/Pork or Vegetarian option and Sweet Winter Pancake. 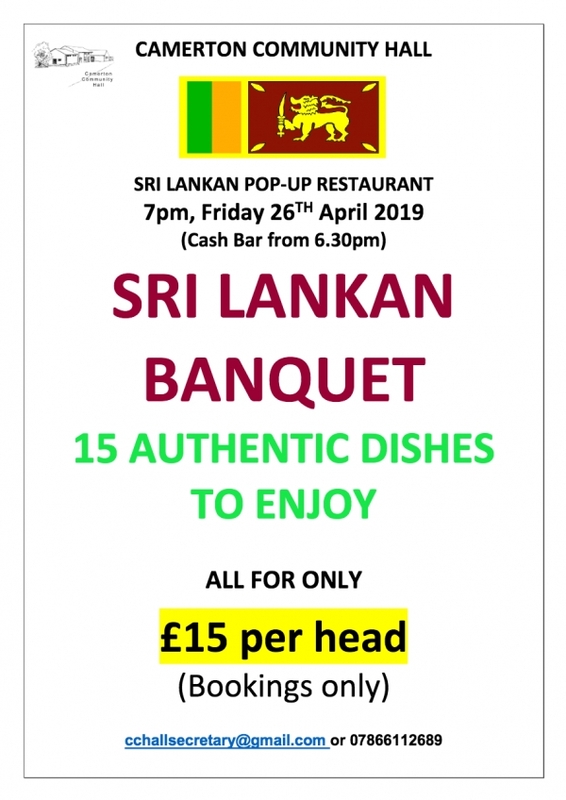 To book call 07866112689. Pre-payment required to confirm place. Community Hall on Friday 14th December, 6.30 for 7pm. £5 includes hot drink/snack.